FINDRA: too nice for mountain biking? 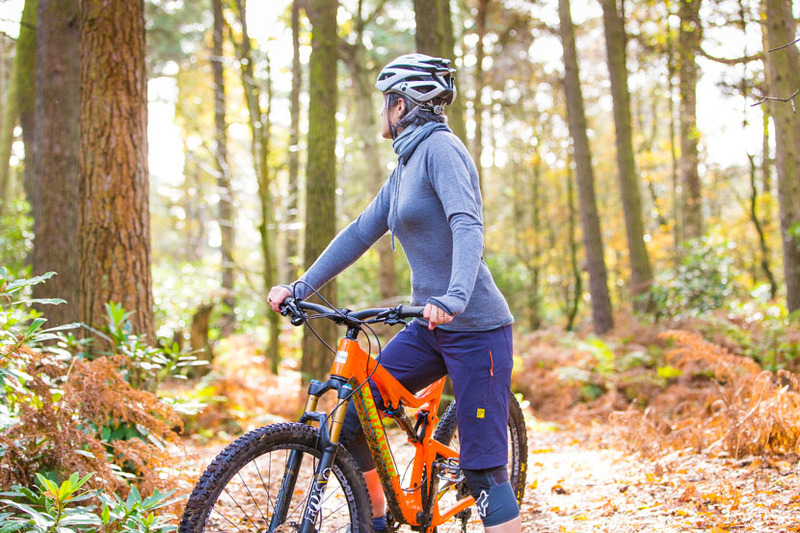 Is FINDRA mountain bike clothing for women really too good to ride in? Let’s find out. 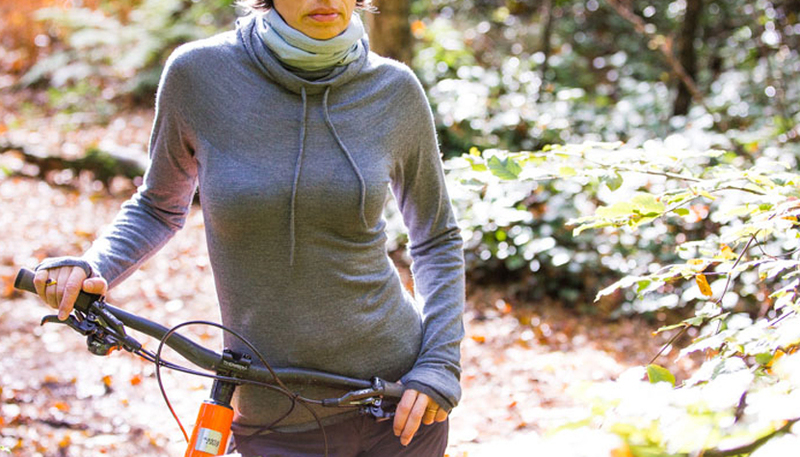 Findra – super stylish merino mountain bike gear. 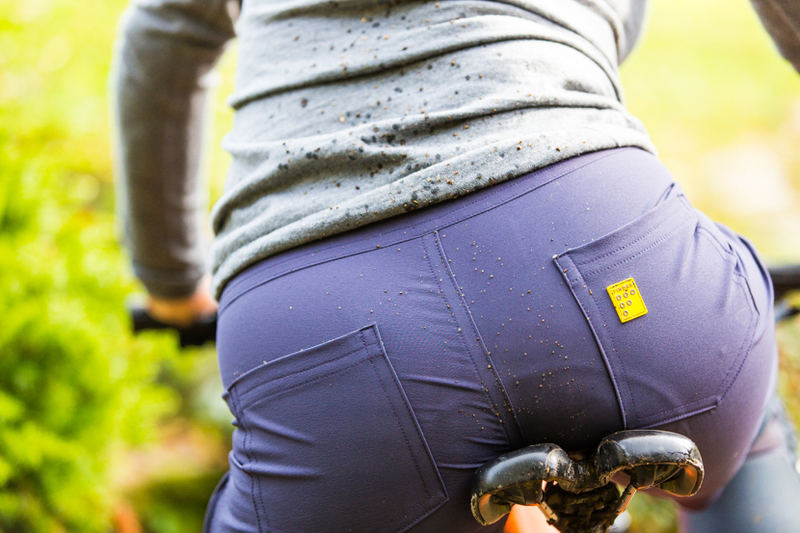 FINDRA is a mountain bike clothing brand exclusively for women. It is designed and made in Scotland by fashion designer (and mountain biker!) Alex Feechan who invited me to review the range here. It is really refreshing to be able to ride in such lovely gear. FINDRA is designed for women who ride and, while being fashion led, it is performance driven. The range is based upon high quality Italian merino wool, legendary in sportswear for its softness, durability and natural wicking properties that help keep your body temperature comfortable during exertion. Other sportswear brands use it of course, but it is style and thoughtful design that sets this range apart. Frankly, I’ve never looked more stylish on my mountain bike. When I started riding it was about a trillion years ago. Mountains were bigger in those olden days, of course. Some still had dinosaurs. And bikes were way more basic. A dropper post was something that happened when your quick release had gone wonky. Rear suspension was provided by your knees. Little thought had been given to the ‘what to wear’ question. Full on lycra? Too roadie. Moto-cross inspired ‘downhill’ baggys? A sure fire way to make any woman look like a slightly awkward school boy. Mix roadie shorts with a downhill top (or vice versa) – and listen for the echo of the squirrels’ laughter, ringing around the hillsides. But just look at me now: super-soft Caddon merino cowl neck cycling jersey with extended length and cut for a female shape? Check. 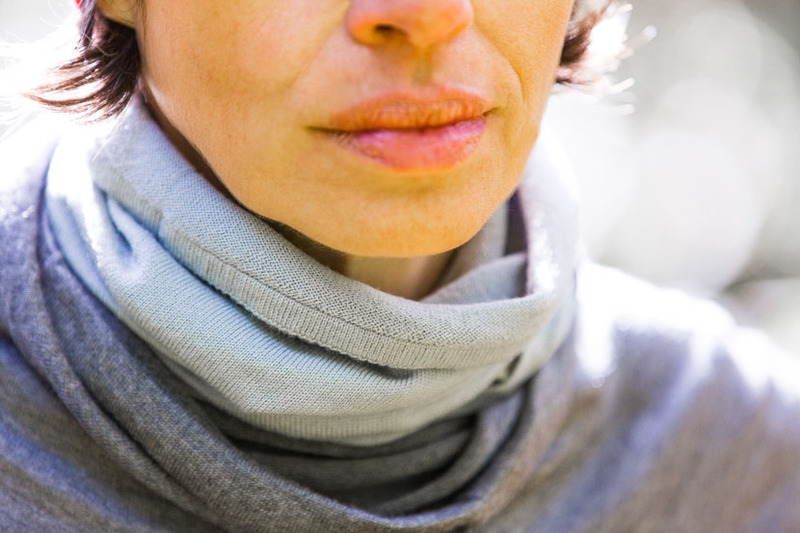 Betty merino neck warmer, which can be worn over your nose on cold days, or round your neck while you’re warming up? Check. And don’t forget the Ms Mo Bike Short in French Navy with stretch and contrast zip pocket THAT MATCHES MY BIKE! (the shorts are so good that I’m saving the review for a later post). But how will my outfit stand up to the rigours of a sweaty, muddy bike ride? Temperature control is a big issue for sportswear because feeling too hot or too cold can ruin your ride. This jersey passed the test – a chilly autumn day – with flying colours: I rode up and down hill, and never felt uncomfortable. Its light enough to wear alone on cool days, and then I would layer with a vest or jacket when temperatures really drop. 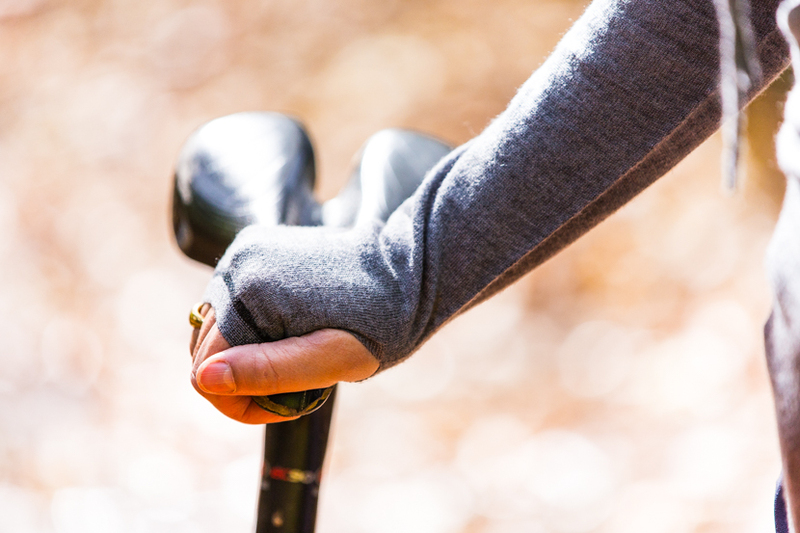 It is seam free for comfort, and features longer length sleeves with integral thumbholes to keep the chill off your wrists (not a substitute for gloves though – I think the fabric would wear pretty quickly against the grips, and obviously you don’t get the level of protection that mtb gloves offer). I love, love, love the cut – really flattering and easy to wear. And the extra length meant no gapping between my top and shorts. Another nice attention to detail – the sleeves are loose enough to be able to wear lightweight elbow pads beneath. A merino cowl is aleady a winter ride essential for me: I’ve had a similar one by Rapha for some time. They are just great at keeping you comfortable during the warm up phase of a ride, or keeping your face warm on a really cold day. The FINDRA option is not only cheaper, but it also comes in nine colour options. This kit also will also keep you warm when you stop for a post ride coffee and inevitably end up sitting outside either to keep your eye on your bike or to avoid dropping a trail of mud across the café floor. 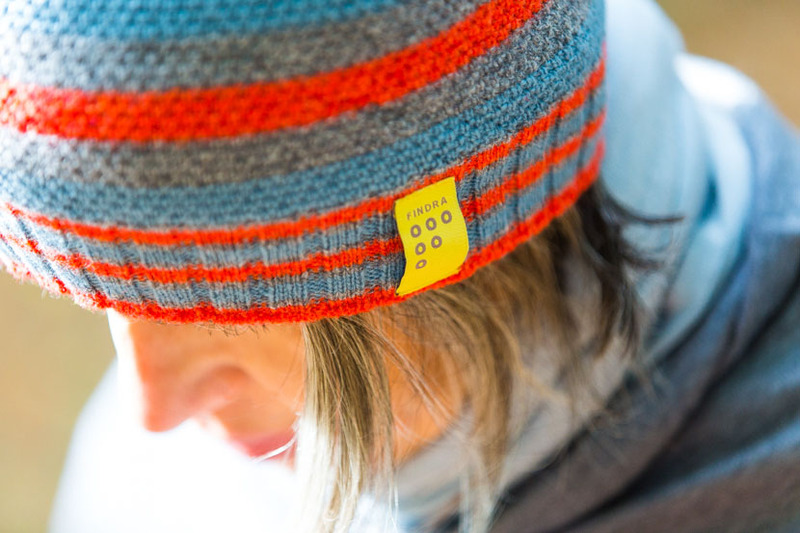 The striped Betty beanie hat made from 100% British lambswool comes into its own here too – a great way to keep warm and hide your ‘helmet hair’, and small enough to carry in your pocket when you’re riding (and nine design options!). Refreshingly you’ll also look like a stylish rider rather than a woman who has been dragged through a hedge backwards. Call me superficial, but I’ve had way too many years of the latter. Finally, the wash test: Merino is tougher than it looks and it doesn’t mind getting muddy (though steer clear of brambles, which will shred just about any fabric that isn’t chain mail). But you do need to wash with a little care if you don’t want to end up with a top that will only fit a toddler and to maintain its durability. So, machine wash on delicate/wool setting at 30C, and I always use a wool wash detergent. Admittedly I’ve only washed this top once so far, but it came out like new. Then get out there and enjoy some happy – and stylish – riding! This post is a collaboration with FINDRA.